UPHOLDING BUSINESS GROWTH AND EXCELLENCE IN TODAY'S COMPETITIVE MARKET, RECAPITAL AS THE LEADING INVESTMENT GROUP IN INDONESIA CELEBRATES THE BIRTH OF A NEWLY ACQUIRED INSURANCE BRAND. Recapital, Indonesia’s leading investment company, expands its business portfolio by acquiring Indrapura Life Insurance and appoints MakkiMakki to realign the brand to its new business objective. 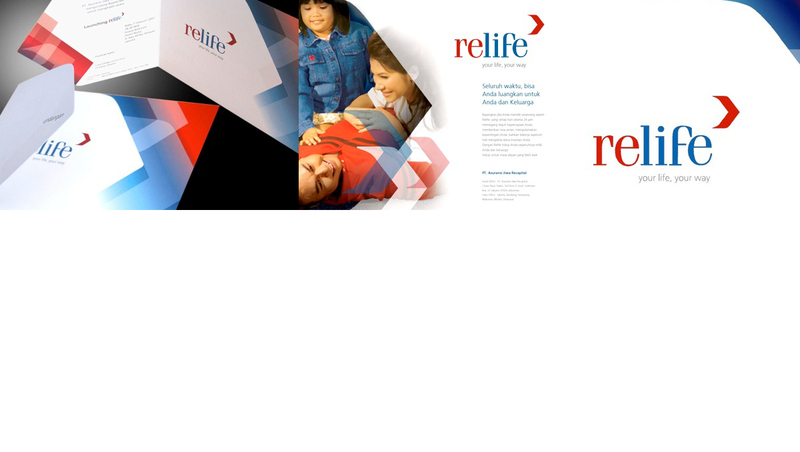 Shortened from Recapital Life, ReLife is created to harness Recapital’s reputable stance in the financial industry and offer the market a highly personalized insurance products and services under “Your Life, Your Way” brandline.